I must tell you of an experience I had this weekend. I attended a funeral, which was particularly difficult because it was my sweet niece, only 21 years of age. Now in my faith, we believe that once passed on, they go back to live with Heavenly Father, and therefore, it isn't that they are lost to us forever, just a short time, until we are reunited again. So my heart didn't ache for my niece, but more for her parents. Especially for her mom, because I kept thinking over and over, how would I feel? Then her mom said something to me that I have heard her say many times before, but this time is struck me deep, " I can do hard things." And she said it with a smile in her eyes and a belief that she could really do it. I watched her as she went through with the largest funeral I have ever been through, and the whole time she smiled and greeted people and laughed and hugged. She was the rock that people needed to see. She is a hero in my eyes. I CAN DO HARD THINGS! What if I developed that attitude? What if I said that with every adversity that hit me? I believe I can do hard things too. I think we can all do hard things, if we just believe we can. It is a great frustration to me, one of my biggest frustrations actually, when people complain about silly little things. There is always someone around us, going through something bigger, harder, and more difficult. 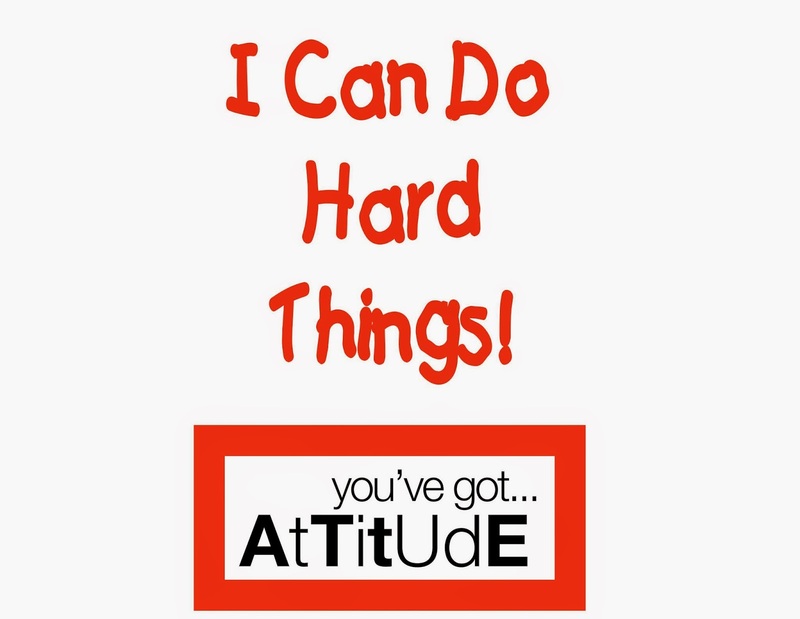 What if we developed the attitude of saying - I can do hard things - as well as not complaining about them. What a concept? No sarcasm at all in that question! But really, we could get through anything, if we just put our mind to it, and said - I can do hard things! God has promised us that He will never give us more than what we can do. He will never give us more than what will make us strong. He will give us what we need to help us grow and be the best we can be. So what are we going to do with what He gives us? We should say, I CAN DO HARD THINGS, and then go and get them done. Hard things are not easy, but we can do them. I can do them! I CAN DO HARD THINGS! Because I am tough and because it is what I should do! I could list of a hundred things in my life right now that are hard things for me to do, but I can do them. More importantly, I could list of a thousand things that are good about my life and easy for me to do. It is all a matter of what we believe, and what we want. I CAN DO HARD THINGS! CAN YOU?